Today is the Data Privacy Day. In Europe this day is known as the “Data Protection Date”; and its objective is to make people aware of protecting their information and activity when they surf the Internet. Since the Convention 108, the first legally binding international treaty dealing with privacy and data protection, signed in 1981 in Europe, the event began to spread to the whole world. In this way, Data Privacy Day is currently celebrated in many countries of the world. But the most important thing concerning this day is what we do, what we should do and what we will do from now on to be more careful with our activity on the internet. It is known the increase of cybercrime during the last years and how it affects everyone equally. There are Information leaks, data theft, online money theft, and many other consequences of the lack of data protection. All this affects individuals, businesses, government agencies and anyone who is online. Many organizations fight to keep track of threats and provide tools for the Internet to be a place without risks, free and equitable for all. Every January 28th is a special day for Le VPN. 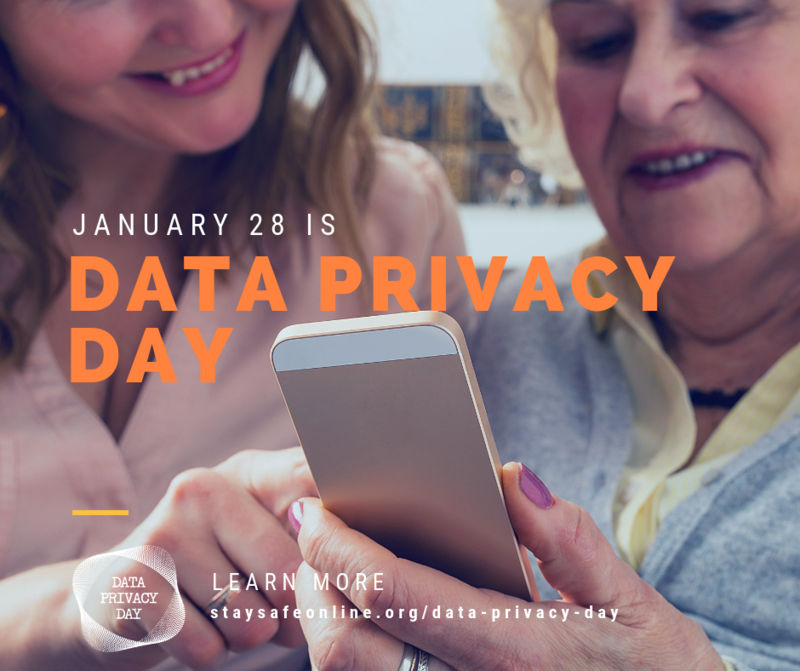 Today we bring you all the information about the Data Privacy Day and what to do to take care of your online activity. The campaign is carried out by the NCSA (National Cyber Security Alliance) and focuses mainly on how to take care of security and privacy online. Through the slogan STOP. THINK. CONNECT. TM The NCSA and different organizations seek to raise awareness, but also to inform about privacy on the Internet. Freedom on the Internet must be a right of everyone. While there will be an agenda scheduled to celebrate this day, there are measures that must be taken throughout the year. This year, the focus is on the value of information. Individuals, companies, organizations, we all must learn to keep the data safe. That’s why it’s important to know that personal information is like money; we must value it and protect it. The search aims to create a culture of privacy so that future generations know how to use the Internet safely. Whether at home, at work or in the community, it is essential to understand the risks, advantages, and disadvantages of using networks. In addition to following the campaign and getting involved in the activities of the NCSA, it is time to start taking action from our place. One way to protect our connections is by using a virtual private network. By surfing through a VPN tunnel, your connections will always be protected. Your IP address will not be discovered by anyone, and nobody can use it to send advertising, malware or spy on you. On the other hand, there are many benefits of a VPN of Le VPN, the world leader in VPNs, such as several layers of security and protection with protocols designed by experts. And much more. Visit our blog to know in detail how a VPN works, what the economic plans offered by Le VPN are and the significant advantages of installing it on all your devices. Start today to take care of your privacy and security with those who know more. Can I stream my live TV channels even when I don’t have data on my phone if I’m connected to let VPN? And can I connect it without data? Hello Alex! No, you will need a working Internet connection, either WiFi or data, in order to use our VPN service.